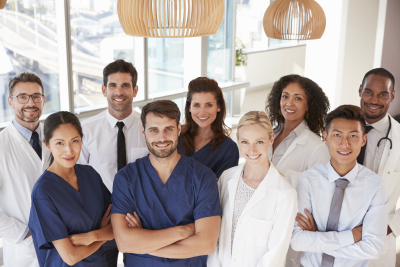 Our Policies | Connecticut | Internal Medicine of Milford, P.C. There is a fee for the copying of medical records based on the number of records requested as well as a postage fee. Please discuss this with the medical records department when you make a request. If forms are brought in for completion outside of a time when an office visit is carried out, there is a $15.00 charge per form. Report charges are based on requests being made. Our medical record department will be happy to discuss this in advance. They can be reached at (203) 878-3531 x3053. If your visit requires laboratory tests, x-rays, special x-ray studies, and other services done outside of our office, a referral may be required by our physicians. Internal Medicine of Milford, P.C. will provide these specialists and facilities with your billing information. Our staff will contact your carrier when it is required. Patients are ultimately responsible for knowledge specific to their individual plans so we ask that you take an active part in knowing your plan requirements. Please contact our office to cancel or reschedule an appointment at least 24 hours prior to your appointment. This will allow us time to use that time slot to accommodate other patients. If we receive a cancellation or reschedule in less than 24 hours, the patient will be billed a fee. We ask patients to call us if they cannot keep a scheduled follow up appointment as soon as possible. This too, allows us to accommodate other patients. Repeated cancellations and/or no shows, three or more, may result in discharge from the practice.